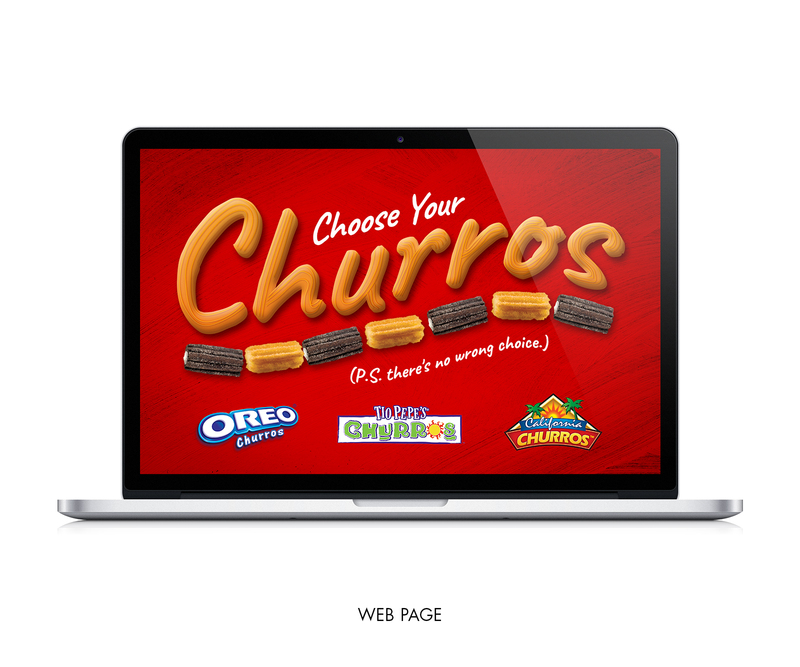 Oreo® Churros Launch – Zucconi Idea Agency, Inc. 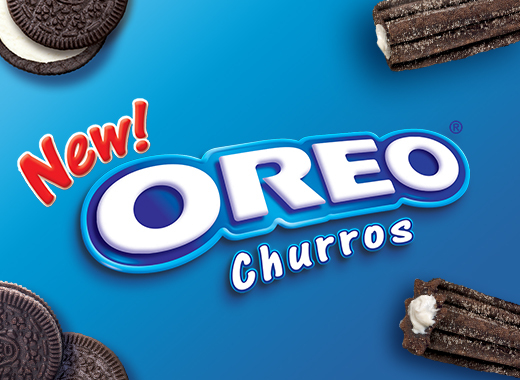 Sometimes there's no substitute for simplicity. 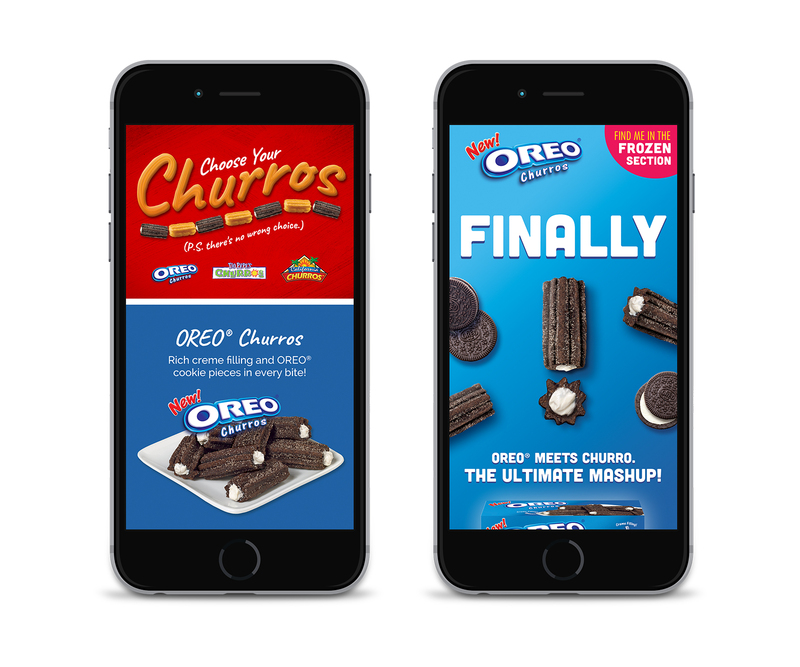 When J&J Snack Foods asked us to help launch its new Oreo® Churros – yes, that's a thing, and it's a big deal – we developed a simple, powerful theme graphic leveraging the iconic Oreo® equities: color, cookie imagery and logo. 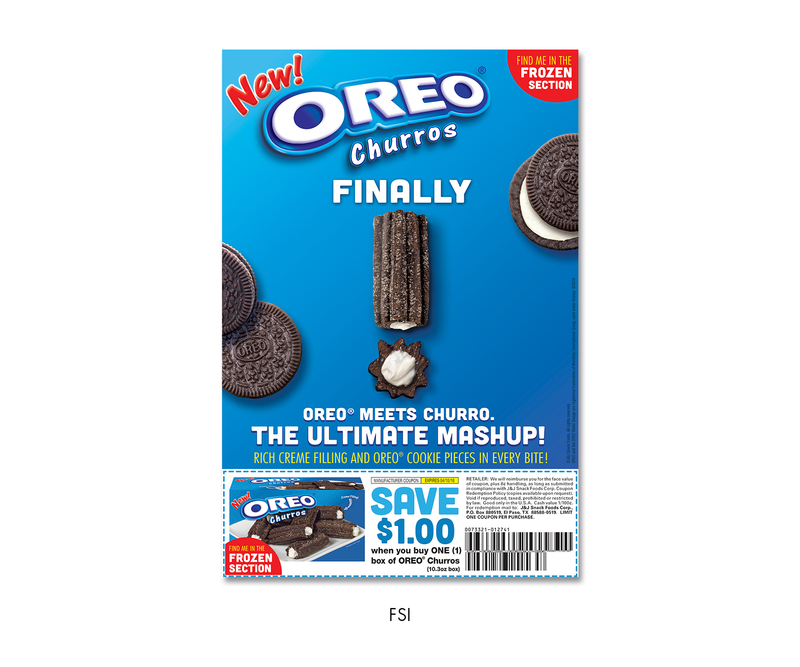 Then we added a witty spin, using the product visual itself to create a huge exclamation point following a single-word headline. 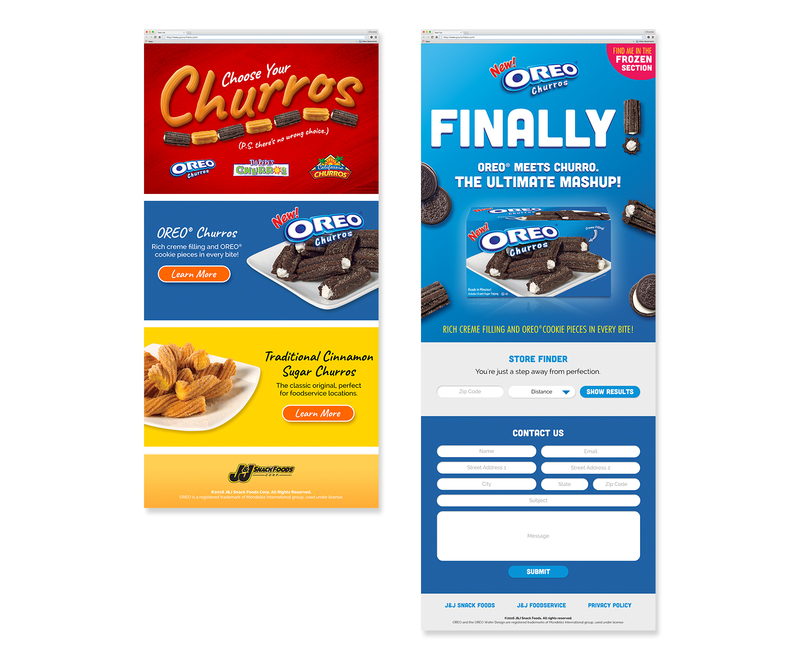 We extended the look-and-feel to a national FSI as well as the brand's web communications, building a truly integrated messaging platform.